Hashtag #bookadayuk is a digital campaign to get Twitter users to talk about books. Everyday there is a different topic to be discussed and each month the hashtag is hosted by a different book organisation. ‘Books are My Bag‘ was the host last month. 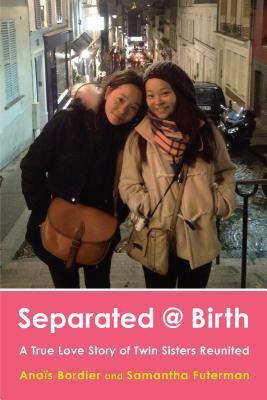 They followed the format used by its predecessor, ‘We Love This Book‘ by compiling the tweets using Storify. Every single contribution to #bookadayuk were featured in their Storify, which delighted us. Furthermore, we were extremely happy when our tweets were retweeted and favourited by the host and authors! For example, this ‘book with beautiful spine’ contribution was retweeted by Darren Shan. On 1st of November 2014, the hosting baton is passed onto Headline Publishing Group. The topics for the month of November are featured in the image below. To tweet your book suggestions, don’t forget to include hashtag #bookadayuk and @headlinepg. 5th: Guy Fawkes night – pick a character you love to hate! Today’s topic is favourite fictional family. Our pick is the Travis family by Lisa Kleypas because our customers love reading Ms Kleypas’s well-written romance novels. Each Travis sibling has its own book: Gage (‘Sugar Daddy’ published in 2007), Haven (‘Blue-Eyed Devil’ published in 2008) and Jack (‘Smooth Talking Stranger’ published in 2009). Our customers cannot wait for Joe Travis’s story ‘Brown-Eyed Girl’, which is expected to be published in 2015. What is your favourite fictional family? Let us know in the comment box below. 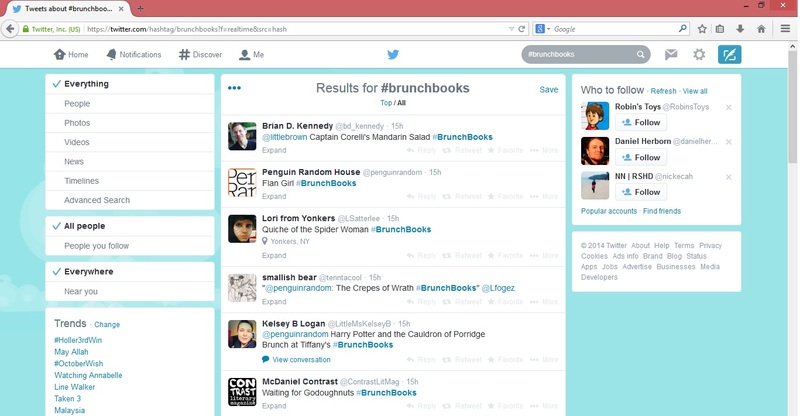 I was searching for stories to blog when I stumbled upon hashtag #BookBrunch. My Twitter feed is full with food-inspired tweets. The trend started with this tweet by Little, Brown and Company. I see that contributors are creative with their tweets. I bet majority of them are hungry by now. I know I am! 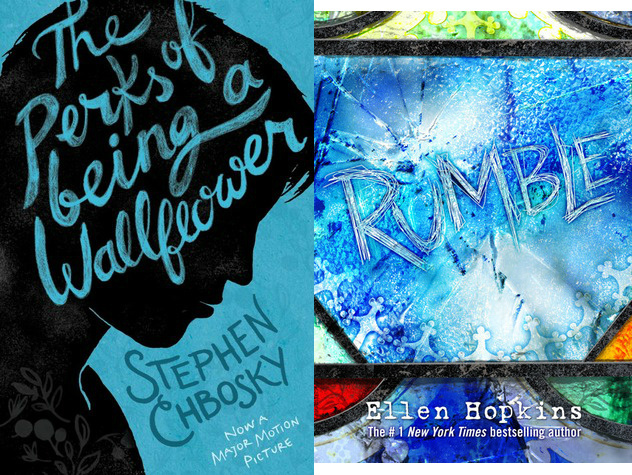 What would be your #BookBrunch? Share your tweet with us in the comment box below.